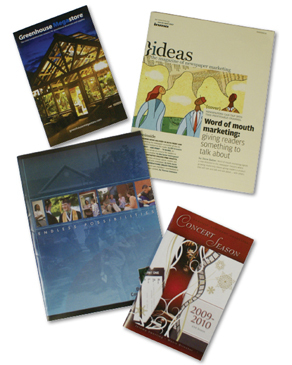 PUBLICATIONS, CATALOGS, PROGRAMS AND MORE! Newsletters and other publications can be valuable marketing tools. Make sure your publications capture the attention of your customers by providing them with exciting and interesting content that will entice them to read every page! We can help with professional design and quality printing. Request a quote on our website or contact us by telephone for more information.